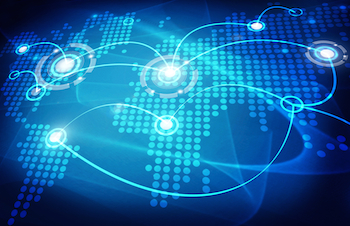 New networked technology platforms are co-evolving with new networked business models, together enabling companies to rapidly find, assess, and integrate with trading partners in order to swiftly create and deliver unique and valuable products and services. We continue to witness the ongoing radical evolution in the structure of supply chains and companies, enabled and accelerated by technology. History shows that companies with the most effective supply chains, supplier management, and innovative business models often win out. For example: Walmart and Amazon in retail, Dell’s rise in the 90s in PCs, P&G in consumer packaged goods, Cisco’s dominance in network systems, Inditex and H&M taking the world of fast fashion by storm via their agile supply chains, and countless other examples where supply chain innovations played a major role. 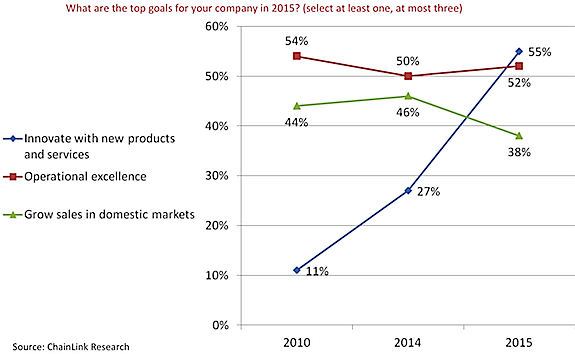 Our own research on business priorities shows the rising importance of innovation in firms’ overall business priorities. This applies not just to products, but to innovation in supply chains and business models, which are much harder to copy than products or services. 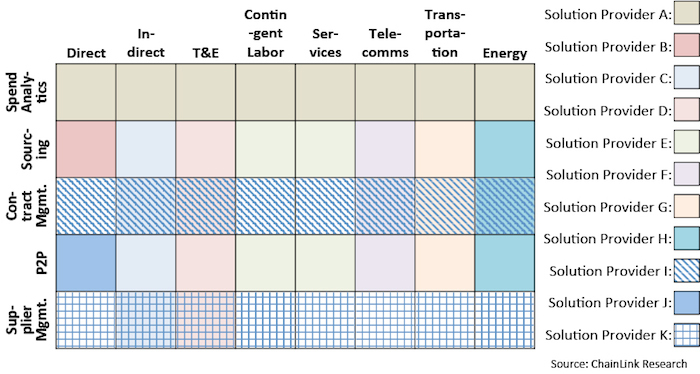 From the 80s through the 2000s, we saw the evolution of vertically integrated corporations into the virtual/federated enterprise,1 integrating many fine-grained tiers of trading partners and service partners to produce products. This shift was enabled by various technologies such as B2B integration/EDI and the internet. Now we are entering the age of extreme outsourcing, in which the pace of partnership formation and execution is being greatly accelerated. This has allowed companies with as few as three to five employees2 to do what formally may have taken a hundred or more employees to accomplish. In fact, in this extreme outsourced model, the vast majority of the work is performed outside of the core enterprise by a complex web of outsourced partners and services often leveraging technology automation. Even larger traditional enterprises are being compelled to outsource anything that someone else can do better, faster, or cheaper. This requires changes to how suppliers and the supply chain are managed … with implications for the platforms used to manage them. This phenomenon is a co-evolution of business models and technology. Businesses striving for a competitive edge seek out whatever technology they can find to run more nimbly and effectively, with fewer resources. Meanwhile, more innovative solution providers have their finger on the pulse of their leading edge prospects and customers, and thereby are continually pushing forward the horizon of what’s possible. Together technology providers and the businesses they serve are creating the agile network model, where networks of potential trading partners are able to quickly find the best partners, rapidly combine together, and perform complex tasks to create and deliver new products and new innovative services of all imaginable varieties. Many-to-many architecture—i.e. many-to-many connectivity, many-to-many security model, data model, integration model, etc. Pre-connected community of trading partners—strong onboarding tools to swiftly bring more trading partners onto the network. This includes the ability to integrate service providers (not just software solution providers) into the platform workflows. Applications leverage rich shared functionality, giving users a consistent and integrated experience across components. This includes basic GUI functions, such as menus, but also richer functions; For example a common way for users to create, post, view, and search collaborative exchanges related to each transaction—e.g. discussions surrounding an RFQ, PO, change request, or invoice. These shared methods make the different partner applications and processes behave as one coherent solution. Data stored by any application on the platform can be made available to all other applications and processes (within constraints of security privileges). Common underlying business semantics, based on widely accepted standards (such as UBL), are used across all applications on the platform, allowing a single copy of common business documents and data to be maintained—a single instance of the truth—across all process steps and between all trading partners, regardless of new applications and new types of data being added. Supports data flows and integrations across all varieties of interfaces and technologies: on premise, cloud, external networks, legacy integrations, EDI, portals/human GUI, email documents, scanned paper documents, spreadsheets, flat files, XML, APIs, and so forth. Data and documents from all these multiple integration approaches become integral participants within the processes across the solution. This is critical if the solution is a network platform, in which case it applies to integration of buyer, supplier and trading partners, as well as third party applications on the platform. No single solution provider by themselves can provide the total solution needed to run an agile network of trading partners. Therefore, the network platform needs to allow many solution providers to cooperatively plug together in whatever combination the user needs, to create a multi-application solution that incorporates just the components the user needs, yet is as coherent as a single solution. A coherent, multi-app solution incorporates multiple solutions from multiple vendors in a highly integrated way—that is the user interfaces are integrated to look like a single solution, the workflows are integrated in a well-thought-out and streamlined manner, utilizing single sign on and shared security mechanism (e.g. groups, access control, administration, etc. ), with data and schemas shared across the solution components, and common administrative tools. And yet, in spite of the seamless appearance from the users’ and administrators’ perspectives, the components are loosely coupled and can be swapped out, allowing the solution to evolve and expand over time as needed … since what constitutes ‘best-of-breed’ changes over time. A coherent, multi-app solution overcomes that classic tradeoff of best-of-breed vs. integrated suite. The platform enables the creation of a holistic solution comprised of best-of-breed functionality from multiple vendors integrated into a single multi-vendor solution that provides the best of both worlds. For example, when buying sourcing and procurement solutions, users typically have to choose between a full integrated suite vs. best-of-breed components (e.g. spend analytics, sourcing, contract management, P2P, supplier management). Furthermore, no single vendor addresses total spend. One solution provider may be good at indirect spend, another best at direct spend, or travel & expense, or contingent labor, or specialized service spend (e.g. telecommunications, energy, transportation, etc. ); but no one provider is best at all of these. An agile network platform that is open and extensible allows providers of best-of-breed functionality—across all the sourcing and procurement functional components and across all types of spend—to build and integrate applications in one coherent, multi-app solution spanning the entire supplier-facing universe of needs. Supply chain finance—banks and other lenders integrating their services to provide financing based on trading partners’ past performance/track records, current execution, and other factors. In this way, the platform becomes much richer than just the software solutions. It provides fully and rapidly integrated outsourced services, supporting the agile enterprise model described at the beginning of this article. Fully digital workflows within the context of a network are powerful and provide considerable advantages over manual workflows or single-enterprise systems approaches. 100% digital networks eliminate many of the delays (moving paper, waiting for approvers’ physical availability, batch-oriented enterprise system delays, etc.) greatly speeding up the pace and competitiveness of businesses. The moment data or documents appear on the network, they become instantly available to all authorized participants simultaneously.4 The network model provides a single-version-of-the-truth shared across trading partners, dramatically reducing disputes and time spent sorting out what really happened. This provides much better visibility and transparency, rather than having information buried within enterprise systems, or worse yet on individual’s systems or in filing cabinets. 100% digital transactions bring a tremendous reduction in errors and bad data by eliminating all re-entry of data. When all data is only entered once during its life, resources and tools can be laser focused on assuring the correctness of data at the points of initial entry, thereby ensuring correctness of data throughout its life traveling through the network. 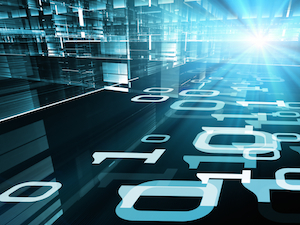 The value of high quality, error-free data is enormous and diverse. Perhaps chief among the benefits is elimination of very costly execution errors, such as shipping the wrong items or wrong quantity, or shipping to the wrong location. Furthermore, accurate data allows for more accurate forecasting and more effective analytics based on that data. An innovative way to move towards 100% digital integration is using each everyday supplier-buyer transactions to integrate more and more information digitally into the network. A good example is building and maintaining an e-procurement catalog. Asking a supplier to upload all the items they sell all at once, or setting up traditional product information synchronization technology, are both beyond the reach of many suppliers. Another approach (implemented by Tradeshift) is to leverage machine intelligence each time the supplier submits an invoice. The platform extracts the product information embedded in each line item on the invoice and adds it to the catalog (after supplier verification of correctness). In this way, a product catalog is built up (and maintained/updated) as part of the ongoing everyday transactions between the supplier and buyer. Moving to fully digital workflows is a great goal, but most companies have struggled mightily and still failed to get to 100% or even the majority of their suppliers and trading partners there. EDI has been around for decades, yet adoption is still far from complete and quite low amongst the long tail of smaller trading partners. One of the best approaches I’ve seen to date is what Tradeshift does in their onboarding process, which can be described as “meet suppliers where they are today, and then bring them along step-by-step on the journey to 100% digital transactions.” Thus if a supplier only can send paper or email today, you accept that, but then transform it into a digital document and ask them to validate that data. Then you encourage them to join the network, to save them more work next time and get paid faster in the future. There are a couple of pieces to how Tradeshift makes this work. First is a very modern and easy to use user interface and intuitive step-by-step user experience. The fewer barriers to entry there are for suppliers to get onboard, the more likely they are to continue on the journey. In addition, continuous machine learning is used when interpreting scanned or .PDF invoices. Each time a supplier corrects a mistake in how the platform interpreted a field in the scanned document, the platform gets a little smarter about it next time. Thus the entire network of suppliers is bit-by-bit training the platform to over time become really good at interpreting scanned or emailed invoices and other business documents. In a virtuous cycle, the better it gets, the easier it is for suppliers and the more likely they are to use the system. Having an extensible network platform also comes in handy here, because third parties can fill in the niches of different types of specialized integration and onboarding services. The great thing about an agile network platform is that it has the ability to grow and evolve as the businesses it serves grow and evolve. This is the future of business—ever-changing and morphing, with the spoils going to the most agile, connected, and adaptive businesses. Furthermore, with an agile network platform, suppliers may start to integrate aspects of their own offerings onto the platform. They become more than just providers of wares for sale. They can become integrated into the workflows on the platform and thereby an integral part of the business processes of all the participants on the platform using those particular workflows. In this way, the platform is an enabler of new business models, extreme outsourcing, and the participation of businesses in new innovative network services. History is filled with examples of companies that failed to adapt their supply chains and business models. 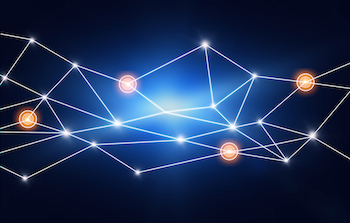 Agile networks are emerging now, not at some hypothetical point in the future. Those who cling to existing linear supply chain models, who fail to move quickly towards 100% digital transactions, and who are trapped in traditional non-networked systems (either best-of-breed or full suite) will become the business school case studies of the future of what not to do. The alternatives are clear and the choice is yours. "Supplier Collaboration 2.0: Digital, Agile, Networked".